This is a crucial message for the transport industry which is the biggest source of air pollution in the UK. Surface transport, for example, is responsible for around a quarter of UK emissions of carbon dioxide – a major contributor to climate change. Globally more and more governments are recognising the impact of climate change and are implementing policies to address the issue. While this will play a crucial role in reducing overall carbon dioxide levels, it must be complemented by the development of attractive low carbon alternatives. The transportation industry is already addressing this and is experiencing a silent adoption of hydrogen powered fuel cells, a technology where hydrogen is used as a fuel with only water and heat as its by-products – a viable option for combating carbon emissions. 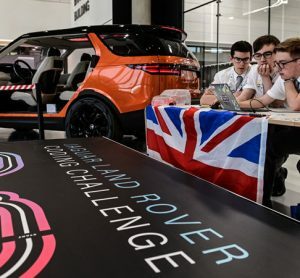 For low carbon fuel such as hydrogen to work, improvements and changes to the UK’s infrastructure are necessary and this too is gaining momentum. 2018 saw much groundwork laid for the adoption of fuel cells and the enquiries being made by various industries showed a real interest in deployment, scale-up and sustainable business propositions. In 2019 we expect this drive to continue especially in the light of the European Union’s recently announced plans to reduce emissions of carbon dioxide from new trucks and buses by 30 per cent, as part of its commitment to cut its output of greenhouse gases by 2030. 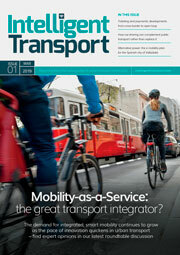 Hydrogen powered buses are starting to gain real traction. Hundreds are expected to enter service in the very near future in Europe, bringing costs down, solidifying the supply chain further and raising public awareness of hydrogen fuel cells as a zero-emission solution. 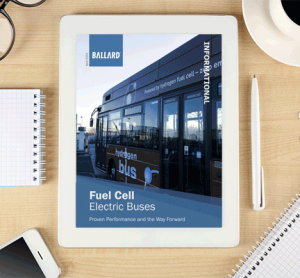 European funds, plus money from national and regional governments is being used to deliver almost 300 Fuel Cell Electric Buses (FCEB) including hydrogen refuelling stations to 22 European cities by 2023. Europe has been the flag bearer for the development and roll-out of FCEB, but this is about to change. Across the Atlantic, California has the longest-running operation in the States where a fleet of fuel cell buses are operational in Oakland. 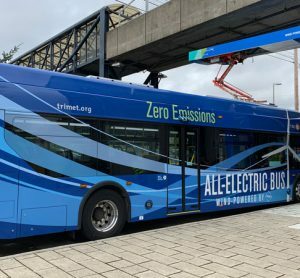 Continuing the commitment, the Federal Transit Administration funds the $90 million National Fuel Cell Bus Programme including the LoNo (Low or No Emission deployment). The main changes, however, are in Asia. Historically slower to roll out FCEBs on its roads, Asia is in the process of overtaking all other regions. China has big ambitions set within the framework of the Five-Year Plan with the aim to make 75 per cent of public services powered by green energy and plans to have several thousand buses in use in bigger cities by the end of 2019. Korea, historically a strong hydrogen proponent though more recently focused on stationary fuel cells, is back with big plans. 30 buses will be running by the end of 2019, ramping rapidly to 2,000 by the end of 2022. Hydrail is here. The world’s first fuel cell passenger train entered commercial service in 2018. Alstom’s Coradia iLint has started operations with Eisenbahnen Verkehrsbetriebe Elbe-Weser (EVE) on a 100km regional line in Germany, marking the start of an alternative electrification option for short and medium passenger lines. In the UK, hydrogen-powered fuel cell trains will run on British tracks as early as 2022. Light rails and trams have already been developed by China and are in testing for passenger operation in the near term. As part of the trend towards heavy-duty applications, fuel cells are increasingly of interest in shipping. This responds both to greenhouse gas and local emissions concerns, particularly in terms of compliance to Sulphur Emission Control Area (SECA) requirements in the North Sea, the Baltic Sea, the Caribbean and the coastline of North America. River cruise boats are an important target for northern Europe, where most of the continent’s inland navigation is located. In Norway, the immediate emphasis is on using fuel cells for short shipping (particularly ferries). This fits with the overall objective for a 40 per cent reduction in greenhouse emissions nationally by 2030. As part of the trend towards heavy-duty applications, fuel cells are increasingly of interest in water transport. Recent progress sees Ferguson Marine in Scotland building a renewable hydrogen-powered ferry as part of the HySeas project consortium, using Ballard fuel cells, for launch in 2021. There are many zero-emission technologies in development with hydrogen fuel cell and battery-powered vehicles leading the way. However, hydrogen fuel cells are considered the top option for zero-emission heavy-duty vehicles versus battery technology. 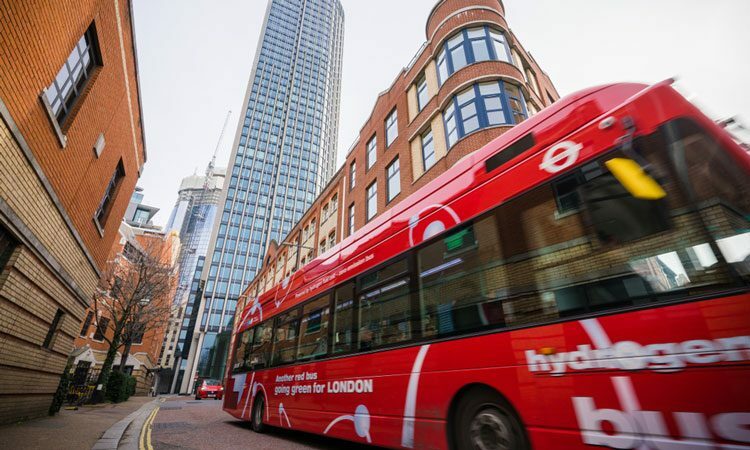 Hydrogen buses can be refuelled in minutes, unlike their battery counterparts and a hydrogen refuelling station takes up significantly less space than electric chargers. For trucks, fuel cells systems take away much less valuable space and payload than batteries. Furthermore, electrification through fuel cells and hydrogen offers substantial benefits over the existing diesel technology: the trains are less noisy and smoother, more efficient and less polluting. Battery-only trains would require too many batteries, and overhead electrification is not always possible and can be prohibitively expensive. Hydrogen fuel cells in heavily-used applications also have better up-time, a lower carbon footprint and reduced operating costs against a battery equivalent that loses its charge, which means vehicles run slower over time. In addition, battery storage and charging requires a lot of space, and the payments for high power electricity supply can be high. Fuel cells and hydrogen have long been considered the fuel of the future – the joke was that it would always remain so – but now fuel cell vehicles are on the road and rolling off production lines. The recent news that Michelin and Faurecia will partner to produce fuel cell systems for cars and heavy transport reinforces this. The annual Fuel Cell Industry Review 2018 shows that supply chain companies are continuing to increase their capabilities and investors are continuing to show support. 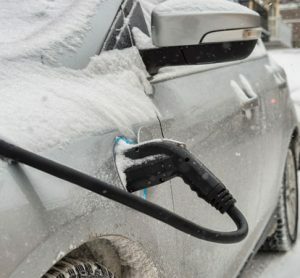 Governments are indicating that fuel cells and hydrogen are not only crucial in helping meet environmental targets but bring industrial and economic gains too. The adoption of alternate fuel powered vehicles means the transport industry can shed the tag of being the biggest polluter and contribute towards a greener environment. Dr. David Hart has consulted and carried out research on fuel cell and hydrogen issues for a wide range of organisations worldwide, including national governments, major industrial companies, financial organisations and NGOs. In addition to his work as a Director of E4tech, he is also a Visiting Professor at Imperial College London’s Centre for Environmental Policy and chairs the Steering Committee of the Grove Fuel Cell Symposium, one of the leading global fora for fuel cell experts. David is recognised as one of the leading experts in hydrogen energy technology and infrastructure, and the associated policy and environmental issues; and in fuel cells used for transport, portable and stationary decentralised power generation. He has led over a dozen fuel cell and hydrogen assessments for due diligence work, in addition to strategic analyses and a wide variety of reports and papers and has been an invited keynote speaker on fuel cell and hydrogen issues on five continents. 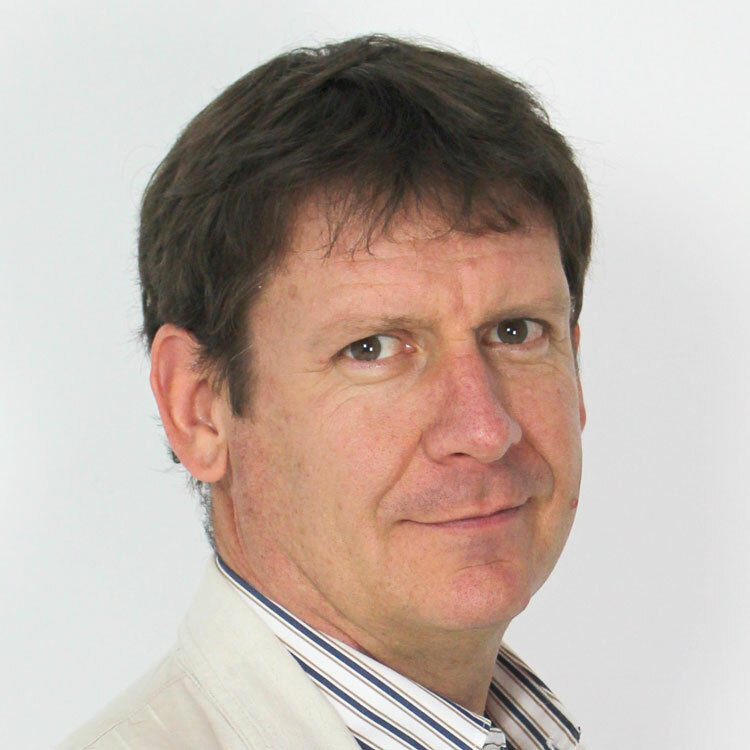 David holds degrees in Mechanical Engineering with German from the University of Bath and in Environmental Technology from Imperial College, and his PhD at Imperial College was in Hydrogen Energy Systems. He has worked in Germany and Japan as a control system engineer, and speaks English, German, Japanese, and French.